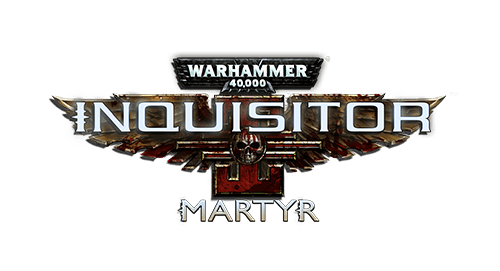 Mark your calendars, because Warhammer 40,000: Inquisitor - Martyr will be released on this date, on PC, PlayStation 4 and Xbox One simultaneously. ...which can be played alone or in Co-Op! Also, the full release doesn't mean that our work is done, more features and improvements will come in future updates, mainly with the story driven free content patches called Seasons. So, that's it for now, as this was just a quick roundup, we'll cover all features and more once we can confirm everything, including retail covers for console editions, and other news. "But let's summarize briefly what to expect from the game on all available platforms on Day One:"
To better understand what to expect, does it mean the following features - once announced for the base game - won't be present at release? Moreover, when PvP was announced, you said it will be reviewed to see if its kept or removed for release. So, do you plan to remove it, keep the current PvP or improve it? I'm more excited for this game than any game I've seen come in the past 10 years, I'm a HUGE Warhammer 40k fan, and I can't wait to get my hands on this game, I've already seen a lot of gameplay, I just wish the founders packages were not limited to PC only, I want to get started ASAP! Already bought it and enjoying this masterpiece. Oh man, I wish I could play it now, but the early access is so far for PC only and I'm on an Xbox :( still can't wait though! Make sure to purge some heretics for me until I can join in! It's not EA on pc. It's alpha testing. EA means there will be no wipes, which there will be. Early Access only mean you can play a game before its official release. There is no implication of its development state, hence it doesn't mean there won't be any wipe. If the Early Access starts while it is already finalised, then you can expect there is no wipe. An early start. But if the Early Access starts while it is in alpha of beta, then you can have wipes for various reasons. There are many Early Access with character wipes. Particularly multiplayer games. Have written about it cpl other places too, but I have to say (Sry) it here as well. I believe it when Neocore says the 11th, but I am actually a bit confused to the ACTUAL release date(s). I'm betting it will end up being released sometime late 2019. Dam, my calendar would be full of Martyr dates. Still hoping there is no more, but I doubt it.